VILNIUS, Lithuania -- Lithuania could block Russia's road and rail access to its enclave of Kaliningrad if Moscow keeps pressuring its neighbors over their ties to the European Union, Reuters reported, citing the Baltic state's foreign minister. Vilnius, which currently holds the EU's rotating presidency, will host a summit in November between the bloc and six states in eastern Europe and the Caucasus that are negotiating closer trade ties with Brussels. All six are ex-Soviet republics that Russia views as part of its sphere of influence. It has been blocking some of their exports and threatening to limit Russian gas supplies in an effort to persuade them not to turn away from Moscow. Lithuania, which joined the EU in 2004, has had its transport trucks held up at Russian customs for up to 20 days at a time in recent weeks, causing heavy losses for its sizeable trucking industry. "We could also apply the same measures." "As you know, the Kaliningrad region is isolated, geographically isolated, so we could apply some measures also to cut something," he told Reuters late on Tuesday, adding that no discussions along those lines had taken place. "Transport, we could cut off trains, but not only trains, also the supply of goods, whatever. It is theoretically possible. It was not discussed, it's not our way of thinking, it's not our methods," he said. The Russian enclave of Kaliningrad, with around 430,000 people, is enclosed by Poland to the south and Lithuania to the north and east but it has a large port on the Baltic. Aside from sea shipments, it relies on road and rail links with Russia that cross Lithuania and Belarus. The EU is locked in an increasingly tense stand-off with Russia over its Eastern Partnership policy, which is designed to draw six countries - Ukraine, Belarus, Moldova, Georgia, Azerbaijan and Armenia - more closely into the European fold. At the Vilnius summit on November 28-29, the EU is expected to sign a free trade deal with Ukraine and take further steps towards free trade agreements with Moldova and Georgia. No substantial progress is expected with the other partnership states, which remain more closely aligned with Moscow. Russia, meanwhile, wants several of the countries to sign up to its own customs union, launched with Belarus and Kazakhstan in 2010. Armenia, which relies on Russia for support in a long-standing dispute with Azerbaijan, agreed in September to join the Russian-led trade bloc. The biggest bone of contention between the EU and Russia is Ukraine, a country of 46 million people that is bordered by four EU member states and is determined to move closer to Europe. If that happens, Russia has said it will have no choice but to defend its interests. "We would somehow have to stand by our market, introduce protectionist measures," Russian President Vladimir Putin said last month when asked about Ukraine signing an EU trade deal. 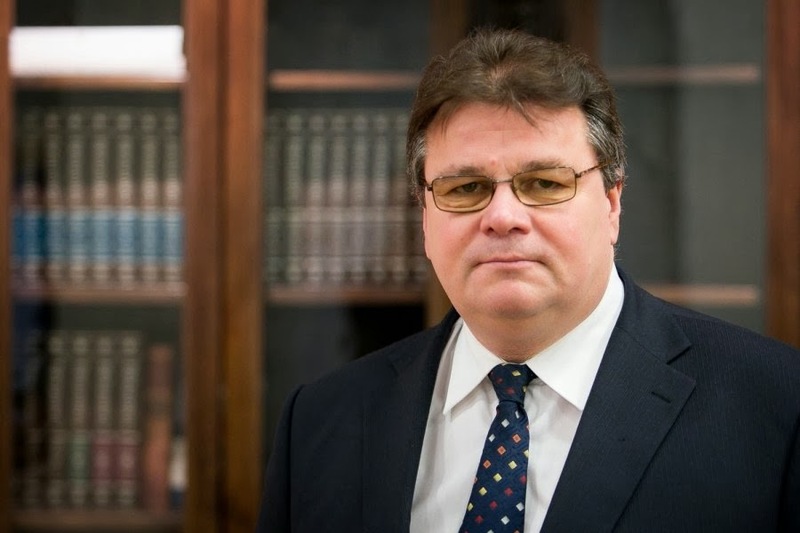 Asked how far he thought Russia might go in retaliation against Ukraine and others in the Eastern Partnership, Linkevičius said cutting off gas supplies was a possibility. "They are very concrete," he said of Russia's actions. "We are not confronting Russia or structures where Russia belongs. We would just like to see this free competition of ideas and arguments," he added. In 2008, Russia and Georgia fought a brief war and there are still Russian troops stationed on some Georgian territory. Asked if that was on the minds of EU member states and others in the Eastern Partnership, Linkevičius said it should be. "It was a precedent," he said.